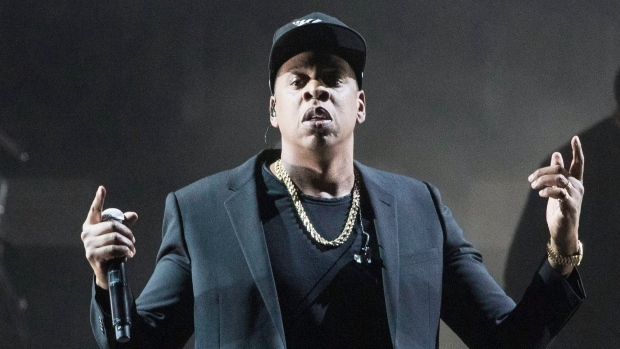 Jay-Z, the multimillionaire rapper, is trying to halt mandatory arbitration in his latest dispute with clothing company Iconix Brand Group Inc. because there aren’t enough African-Americans approved to hear his case. The hip-hop mogul, whose real name is Shawn C. Carter, says the lack of diversity among qualified arbitrators means he can’t get a fair hearing in his fight with Iconix, which bought his clothing business a decade ago, according to a petition filed Wednesday in state court in Manhattan. New York-based Iconix paid about US$204 million to acquire Jay-Z’s Rocawear business in 2007, but has since written off almost the entire investment and the two sides have been feuding for years. Under a 2015 settlement, Carter and Iconix agreed to submit any disputes to arbitration, and the company initiated proceedings in October in connection with a pending trademark-infringement suit, according to the petition. But of the 200 or so prospective arbitrators, none of those qualified to handle the case was African-American, despite assurances from the AAA that its ranks are diverse, Carter said. While AAA was able to provide the names of three black arbitrators, one was already representing Iconix, according to the petition. AAA’s failure to provide “more than a token number of African-Americans” to hear the dispute should void the arbitration clause, Carter said. Iconix didn’t respond to multiple requests for comment on the suit. Laura Simpson, a spokeswoman for AAA, said it is the organization’s policy not to comment on any arbitrations. Arbitration clauses have become commonplace in all kinds of contracts, from mortgages and car loans to credit card and employment agreements, but they also have been targeted for criticism because disputes are being heard in confidential proceedings rather than public courts. The filing is the just the latest disagreement involving the rapper and Iconix, which has become the target of an accounting probe by the Securities and Exchange Commission. Iconix wrote down the value of Rocawear by US$169 million in March 2016 and another US$34 million this year. The company, whose brands include Candie’s and Joe Boxer, restated financial results in November 2015 over how it classified some expenses and recognized revenue related to licensing agreements. Iconix, whose shares have slid more than 90 per cent in the past 12 months, said in August that it’s reviewing all options to address debt that’s coming due, including a new securitization facility, and plans to talk to its investors in the coming quarters. Iconix said in a filing earlier this month that the SEC probe is still ongoing. The trademark infringement case is Iconix Brand v. Roc Nation Apparel, 17-cv-3096, U.S. District Court, New York (Manhattan).